Adjustable/Stackable Chairs suit plant applications. 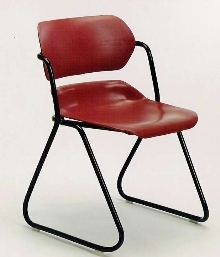 Val-U-Line Chairs feature steel frame with polypropylene seat and backrest. Three models of stackable chairs with glides provide seating for meeting rooms, break rooms, offices, and cafeterias adjoining manufacturing areas. Adjustable chair, with seat height range of 17-22 in., is suited for computer workstations and comes standard with casters. 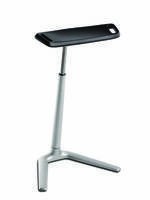 Cloth upholsteries are available on height-adjustable chair and 2 stacking chair models. BioFit® Engineered Products introduces its new line of Val-U-Line chairs for durability and cost-effectiveness in industrial facilities such as break rooms, in-plant offices, plant meeting rooms and cafeterias. Val-U-Line seating from BioFit provides the ruggedness that is important in plant applications. Chairs in the Val-U-Line series feature a steel frame and seat and backrest of tough polypropylene. The chairs are warranty-backed for five years. BioFit offers stackable chairs and a height-adjustable chair in its Val-U-Line series. The three models of stackable chairs provide versatile seating for meeting rooms, break rooms, offices and cafeterias adjoining manufacturing areas. The adjustable chair, which has a seat-height range of 17 inches to 22 inches, is a functional seating choice for computer workstations. 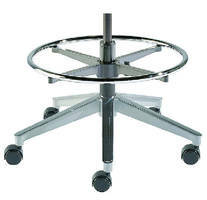 The adjustable chair is standard with casters, and glides are standard on the stackable chairs. Cloth upholsteries are available on the height-adjustable chair and two of the stacking chair models. The color selection on Val-U-Line chairs includes a variety of fabric options as well as a choice of polypropylene seat and backrest colors and steel tubular frame colors. For literature on Val-U-Line seating, contact BioFit toll-free at 1-800-597-0246 (United States and Canada) or at biofit@biofit.com. BioFit Engineered Products, located outside of Bowling Green, Ohio, is a leading manufacturer of rugged and dependable industrial, high-tech, laboratory, professional and educational seating, a convertible bench/table system, mobile easy-to-fold tables in six shapes, as well as a patented 10-seat oval cafeteria table and other cafeteria tables with attached seating. MVMT™ Seating Line features MVMT QR code profile system. Seating Footring optimizes ergonomic support and sanitation.